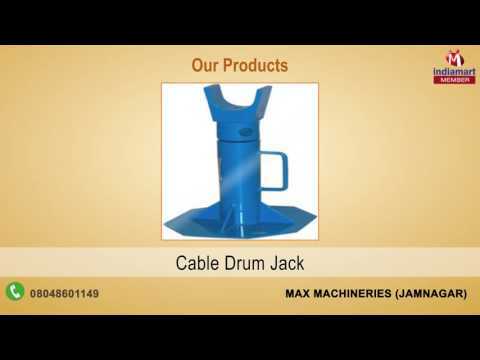 Started in the year of 2007, we "Max Machineries" established ourselves as a prominent organization of the market by manufacturing a wide array of Cable Laying Equipment. Under our quality approved the collection of products we are presenting Cable Dispenser, Pallet Hinges and Cable Drum Lifting Jack. Offered products are manufactured from high-grade input factors. Our offered products are highly admired by the customers for their easy to use, low maintenance, high performance, light weight, and longer service life. Apart from this, one can avail these products within the limited period of time at reasonable prices.